wild marathon=fennel , giving accounts.....to The Marathon runners.. The beautiful Marathon lake is down the eastern slopes of Mt.Penteli and above the site of the Marathon battle (490 B.C.). It’s the coastal place where the Tymbos =tomb of Marathon is,where the first Marathon runner (messenger) started his 40 kilometre journey to Athens to report the victory.There is no doubt that the Marathon runners all over the world know the history behind the “Marathon” name.However, I was wondering while wandering the area if they really know the meaning of Marathon which is the name of an innocent wild plant,a famous,well-known herb. Yes,we are talking about marathon,the Greek name of fennel .All the Marathon area and Mt.Penteli abound in fennel which excuses the Toponym Marathon. This hardy,perennial,aromatic herb, with the yellow flowers and the feathery leaves ,wrote History…and now it is widely used in Medicine and cooking,while it’s very pleasant in fresh salads. Thank you so much for appreciating my “maratho”=fennel post! I use a lot of herbs too and fennel is one of my favourites.You can use it fresh and finely cut in salads as well as in cooking.I cook vegetables such as artichokes with peas,carrots and I add plenty of fennel and lemon juice.I also add plenty of it when I cook lamb and lettuce,carrots in egg lemon sauce.Actually,it is a stronger dill.I also buy fennel seeds and make tea;it’s very good for you. Awe, sweet Doda! I love visiting you and your kind words here are wonderful this weekend for me to read ❤ Sending love your way for the weekend! Dear Doda, Last night I read through so many of your comments on my blog. Wonderful. And, yes, I had read all your comments on the paintings posted before San Jose. Please excuse me for not acknowledging you. I really like to do that because your comments mean a lot to me. Thank you my dearest Gretchen for sharing these painting-like,poetical lines from the novel you are reading. Needless to say that you knew how much I would appreciate it and that it would flood my soul with the same gentle feelings as yours. Simple,everyday words …used with the pen’s dexterity in one and only one line,succeeded in creating a most powerful effect. I,so much, like the contribution of the tiny wrens’ feet to “draw” the night skies’ dark magic…The night has fallen and the songbirds attempt the last flights in the sky where the shadows of their feet…. Oh! And the softness of the cotton-bedded box ,I can almost feel it…where the spiky brooch rests…Yes,the sun rests its beams in the cotton-like clouds,that’s why the presence of the “Spiky” brooch,a piece of valuable,golden jewellery to resemble the sun’s “spiky” golden beams….It’s wonderful. Hope am able to visit Greece one day and witness all that majestic and bewildering grandeur and charm that made it emerge as a centre of civilization, history and learning. OM ! With great pleasure I am replying to a Marathon runner who really appreciated my Marathon post. Thank you for being so lavish with your praise upon Greece.Personally, I consider that our planet’s beauty and history belong to everybody and simply we share them.Hope you turn your desire into reality one day and fulfill you dream to visit Greece. I feel very fortunate to see Greece through your camera lens. I have never known but the ‘regular’ (touristy) shots of your very beautiful country. 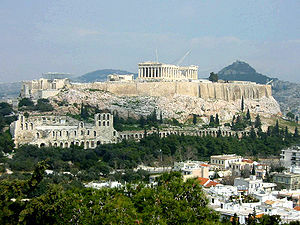 I have always wanted to see Greece and your accounts have give me a new depth of tour. Beautiful lake. And fennel. Oh I do love it. It is very good for what ails the stomach. I frequently use the essential oil of fennel to calm nausea. Works wonders for me. And I love the feathery quality of the fronds. Hello stranger ! Still alive and kicking…and painting ? Back to the beautiful San Bernardino mountains from San Jose? Thanks for coming by,I am glad you gratified your “biophilia ” through my Marathon images which were properly inserted into my writing part gradually but for some reason they all came above my writing. Anyway,I had commented on all your remarkable paintings you had published before leaving for San Jose but there was no response so it gave me the impression that something went wrong.Have you read them ?Hope you did,at least, to see my admiration for your Art works. Once again,thank you for your visit.